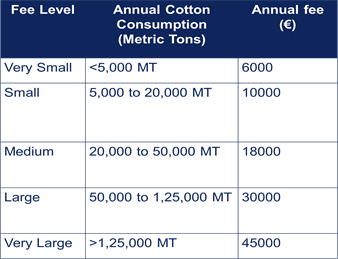 Having explored sustainability programmes and codes individually in detail on the previous page, you may find a direct comparison of these programmes useful as you consider how to incorporate sustainable cotton into your supply chain. The table below provides in-depth information about other programmes and codes, covering key facts and figures, and details about their programme’s emphasis on different sustainability issues. It should help you choose which would align best with your goals and brand values. 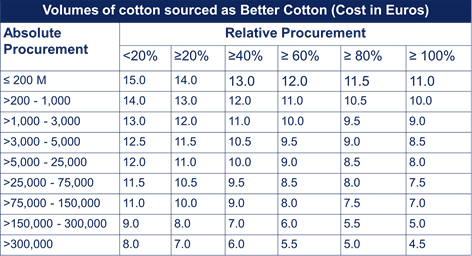 The information in this table has been provided and verified by Textile Exchange and is republished in the CottonUP guide with their permission. Production data refers to 2015/16 and will be updated annually. To create a more sustainable American landscape. To create more sustainable, traceable cotton. e3™ is Bayer CropScience’s more sustainable cotton option. 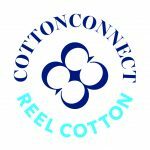 It is grown in the USA with care by cotton producers striving to improve their sustainability in production of the highest- quality upland cotton for apparel and home furnishings. Claims 16% avg. yield increase among REEL farmers compared to control. Aims to reduce irrigation water use. Promotes water efficiency. Claims 16% avg. reduction in water use. No specific criteria on soil fertility. Activity is assessed on various factors including land use and soil carbon. The concept is to improve one’s performance on these parameters. Promotes soil health and nutrient management through crop rotation and composting. No specific criteria on biodiversity. Activity is assessed on various factors including conservation. The concept is to improve one’s performance on these various parameters. US regulations regarding pesticide use. REEL farmers are trained in pest management and reduction of harmful chemical use. Training is provided on organic pesticides e.g. neem spray. Claims 43% avg. reduction in chemical pesticide use among REEL farmers. Fertilizer use is not a parameter assessed in the e3 methodology. REEL farmers trained on crop rotation, composting and reduction in use of chemical fertilizers. Claims 20% reduction in chemical fertilizer use among REEL farmers. US cotton growers are all held to high standards by law for worker health and safety. Provides training to produce cotton with respect for Human Rights principles for decent working conditions: no child labor, application of health and safety principles, gender inclusion. Focus on women empowerment. e3 farmers are paid a small per bale incentive to reinvest in sustainable improvement practices. REEL farmers receive training to improve yields and profits. Claims 41% avg. increase in profit compared to control farmers. Self-evaluation and 3rd party audits. CoC to the mill (for further content claims use). Bale preserved – procurement links to supply chain provided if required. In store and on product marketing. Primarily B2B but in-store marketing. Small price differential paid to farmers, negotiated with individual brand/ retailer. Brand/ retailer pays for service.